This January, get ready for the ultimate explosion of martial arts mayhem as Full Moon Entertainment unleashes "FISTS OF FURY." 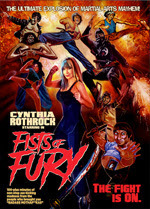 Presented by Cynthia Rothrock, "FISTS OF FURY" takes audiences on an epic journey through some of the hardest hitting films to ever tear their way onto the silver screen. The martial arts extravaganza will be released on DVD on Jan. 20. 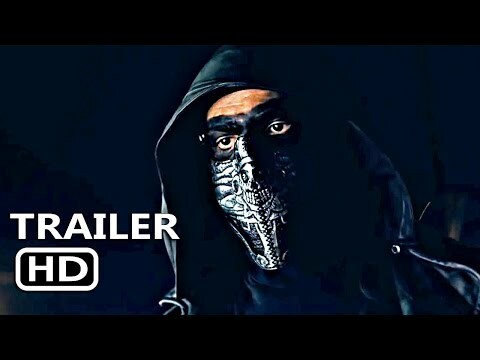 Fans can get their copy at FullMoonDirect.com, on Full Moon Entertainment's Amazon Channel and via FullMoonStreaming.com. Class is in session as your seductive sensei, Cynthia Rothrock gives you the hardest hitting lessons of your life. Courses include a study on the greatest "Martial Arts Movie Masters," "Deadliest Weapons" and the many failed attempts at recreating the "Magic of Bruce Lee." Will you earn your cinematic black-belt or get tossed on the pile of failed students? The only way to find out is to FIND and FEEL the "FISTS OF FURY."